I am a PhD student at Bosch Corporate Research and the Saarbrücken Graduate School of Computer Science. 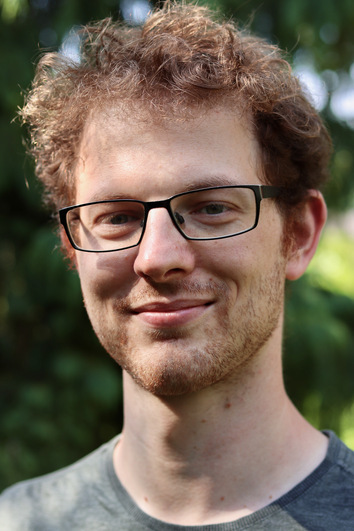 My academic advisor is Björn Brandenburg at the Max Planck Institute for Software Systems (MPI-SWS). At Bosch, I closely work with Arne Hamann, Dirk Ziegenbein and Ralph Lange. I studied computer science at Saarland University with a minor in mathematics from 2011 to 2016. In 2016, I completed my master's degree on on static worst-case execution time analysis under the supervision of Jan Reineke. I then left academia to gain some industry work experience as an embedded software developer at Rohde & Schwarz. Since October 2018, I have returned to research to pursue a PhD. I am currently working on new and easier ways to develop latency-sensitive and (soft) real-time applications in ROS 2, the next generation of the popular Robot Operating System. The goal of my work is to reduce the need for a priori knowledge as much as possible, while still assuring timely completion of latency-sensitive processing pipelines. D. Casini, T. Blass, I. Lütkebohle, and B. Brandenburg, “Response-Time Analysis of ROS 2 Processing Chains under Reservation-Based Scheduling”, Proceedings of the 31st Euromicro Conference on Real-Time Systems (ECRTS 2019), to appear, July 2019. T. Blass, S. Hahn, and J. Reineke, "Write-back Caches in WCET Analysis", Proceedings of the 29th Euromicro Conference on Real-Time Systems (ECRTS 2017), July 2017. Master's Thesis: Array-aware Cache Analysis for Write-through and Write-back Caches, December 2016. Bachelor's Thesis: AutoPCP: Exploring Automatic Lock Ceilings in PREEMPT_RT, March 2015. I regularily switch between my two offices at the Bosch Corporate Research Campus in Renningen and the Max-Planck Institute in Kaiserslautern.